Mayfair is a super elegant boot beautifully finished in a choice of black, navy blue or dark brown leathers and our fabulous range of suedes including our fabulous new chocolate, bordeaux and grey. 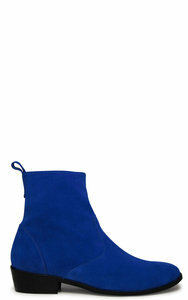 Shown in blue suede as well as black and waxy brown leathers. Fully cushioned foot for extra comfort and available up to size 43 foot. Contrasting pig-skin lining for ultimate comfort, luxury and style. 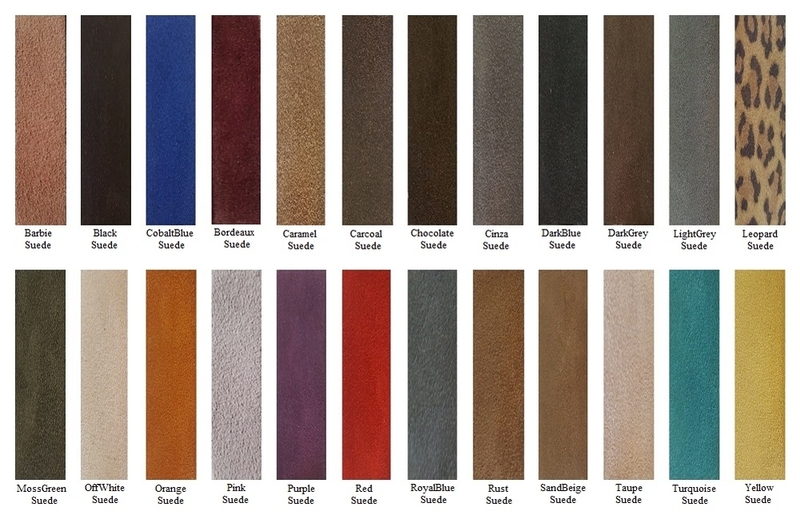 Black and Navy blue have red pig skin linings waxy brown, dark brown and tan milled versions have a chocolate brown pig skin lining and for the suedes we use beige. Mayfair looks great teamed with a skirt or skinny jeans. The foot profile is slim and particularly elegant. The sole unit has a low profile in keeping with the elegant shape of the boot and has a built in grip pattern. The measurement should be taken around the bone of your ankle. For slim legs your ankle measurement may be below the minimum option shown, making the ankle smaller spoils shape and can make it difficult to get the ankle boot on your foot so choose the minimum option shown. You will also need to specify the height of your boots. Stand on the floor in bare feet and measure up your leg to the height you want. The entry is the circumference over your ankle bone angled to allow for your instep. As well as the ankle the entry will allow our craftsmen to tailor your boots for an elegant profile.